NEXT DAY delivery if ordered before 1:30pm Monday - Thursday. FROM £14.85 per case. Facial Tissues 2ply white 100 sheets per box x 24 per case. 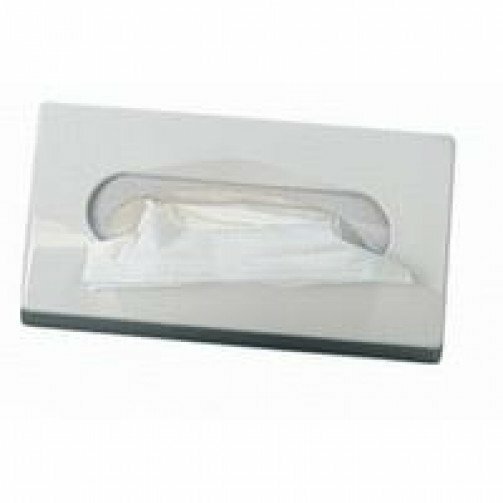 This plastic facial tissue dispenser is perfect as an accessory to any bag, drawer, car, workspace or washroom. The dispenser is manufactured using white plastic, allowing it to be easier to keep clean, and germ free. 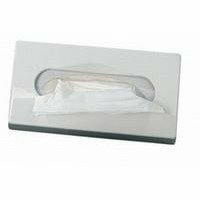 The dimensions of the Plastic Facial Tissue Dispenser are 260mm long x 140mm wide and 60mm deep. Q. Is this dispenser wall mounted? A. Yes this dispenser can be wall mounted.